Really hassle-free and efficient service. We were pretty clueless but Leigh explained everything clearly and simply. With small children, going into a solicitor’s office was not an option so the fact that we were able to sort everything out in the comfort of our own home was just fantastic. Highly recommend! Been putting a Will off for the last 3 years. Finally got round to making one. Leigh made us feel very comfortable. First speaking to myself then myself and my husband. Very efficient and sorted in a matter of 2 weeks. Even made a home visit to ourselves on a Sunday. Friendly, helpful and fast service. I feel like I got exactly what I wanted at a great price. My wife and I met with Leigh yesterday for writing of wills and we were both very impressed with the clarity and efficiency with which Leigh took us through the process and we came away totally satisfied with the outcome. We have no hesitation in recommending Lawson legal services to anyone requiring clear guidance and prompt action! 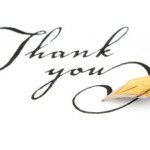 Hopefully you will find the comments above on our Testimonials page of recent clients helpful in choosing Lawson Legal services for your Will writing services and Probate needs. Most of these kind words were left by former clients on my facebook page; Yelp, Bing, Google and various other sites and search engines that allow reviews. Word of mouth is extremely important to our business, many of our clients contact us having been recommended by previous clients. We strive for this to continue ….. Many thanks to people that have taken the time to leave feedback and for those that have suggested our services to other family members and friends.